A futuristic and playful Scandinavian design, the Normann Copenhagen Acrobat Lamp in Black is inspired by the talents of acrobats, who can do amazing things without losing their balance. 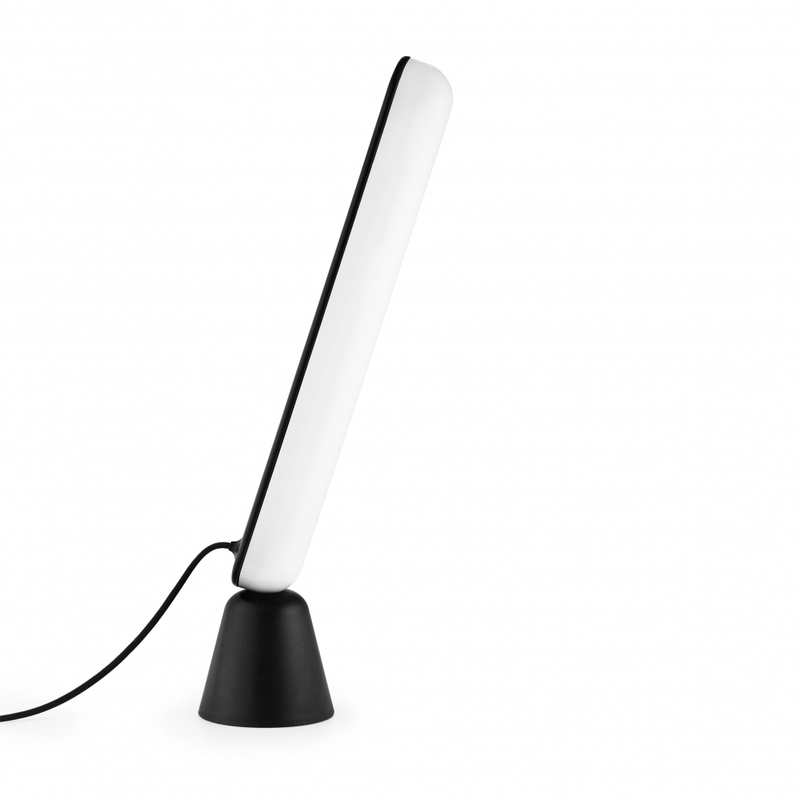 The table lamp consists of two parts; a cone-shaped base and oblong LED light source, held together by magnets. Challenging the traditional idea of an adjustable lamp, Acrobat can adopt surprising positions, making it ideal as a direct or indirect source of lighting, an illuminating desk lamp or soft ambience creating light, depending on how it is placed on the base.